Craig Parkes discovers the delights of an off-road motorcycle tour in Portugal with Dakar Rally legend Ruben Faria. 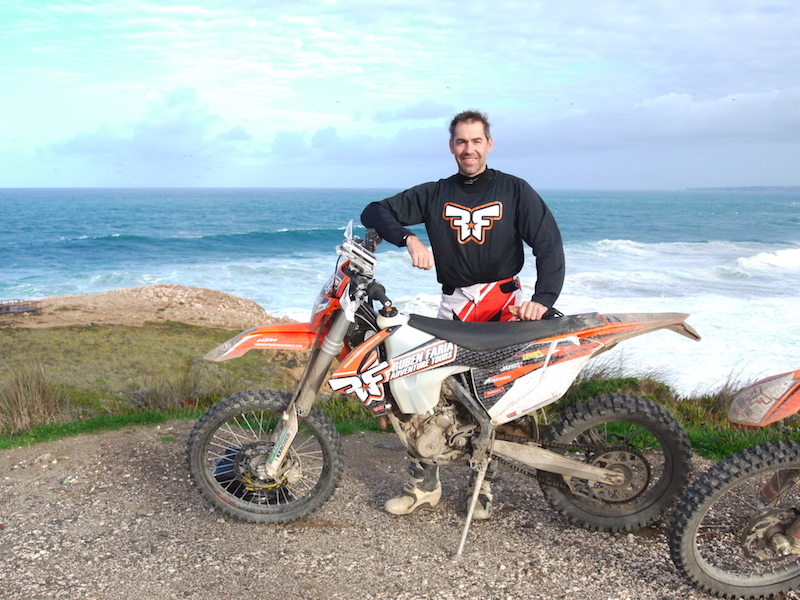 I would never have imagined that on a cold and wet Wednesday in mid-December I’d be travelling to Faro, Portugal to hit the trails with a Dakar Rally veteran. I got my lucky break when I received a chance phone call from an old trail riding pal, Dave, who’s a regular contributor at Adventure Bike Rider magazine. 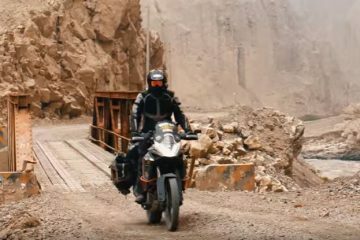 Someone from the mag was due to travel out to Portugal to ride with Ruben Faria Adventure Tours, but a mishap on two wheels meant they could no longer go. Needing to fill the space at short notice, the opportunity was extended to me and I took me all of five seconds to decide. Work? 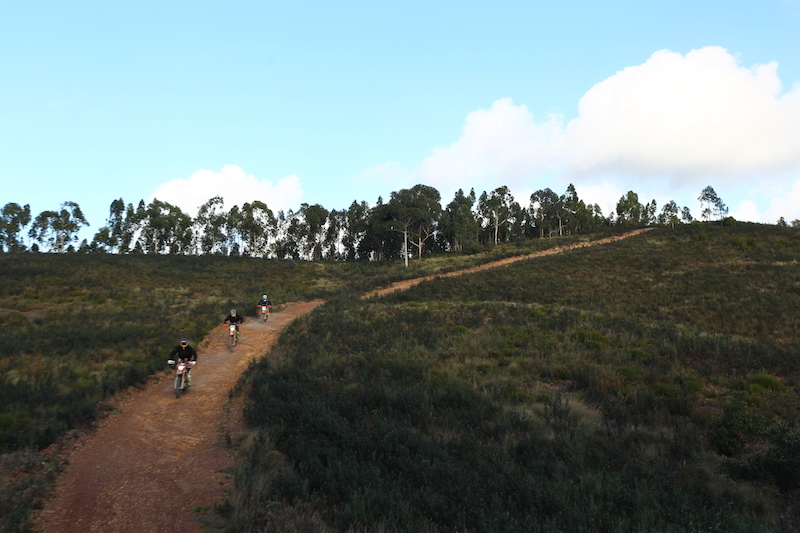 Or riding off-road trails in Portugal? A couple of days later and I found myself in Gatwick. One of the great things about travelling alone is the people you get to meet along the way. While I was sat at a bar in the departure hall, a young Kiwi guy asked me if I could take his photo for him – he’d just got his nautical engineer certificate and apparently it’s tradition to get a picture of yourself holding both the certificate and a pint of Guinness. 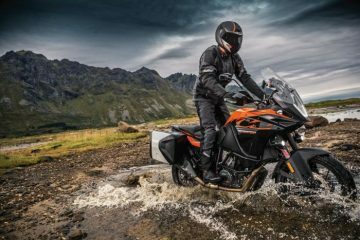 We got talking, and as soon as I mentioned my trip he proceeded to tell me how he used to work in a motorcycle shop in New Zealand, and how he’d go riding with Chris Birch, KTM’s god on two wheels. That night, I landed in Faro, grabbed some dinner and got myself to bed early for pick up the next day. In the morning, the power of bikes formed another interesting conversation as I started talking to a Dutch guy. He turned out to be a huge motocross fan who attended every GP at his local circuit, Assen. At 8:30am, Ruben picked me up from my hotel. Instantly it’s clear that he’s a really friendly chap and he’s easy to talk to. I was introduced to the other passengers in the car, Mathias Brunner, from a French motorcycle magazine, and Ruben’s event coordinator. We headed for breakfast and, on the way, I got the chance to speak to Ruben about the tours he’s running. 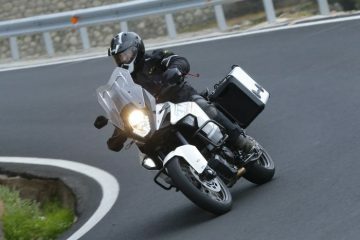 He explained that, as long as a group is made up of riders of a similar skill level, he can tailor the riding to suit anyone. 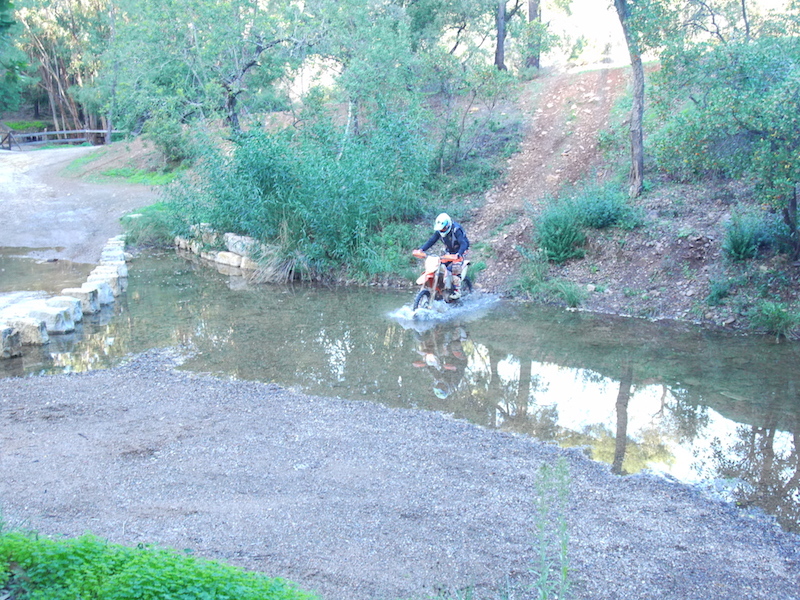 In fact, he has a small track on-hand to lean basic off-road skills if need be. It wasn’t long before we met our bikes, taking a short drive to the famous Portimao Circuit where Ruben’s crew were waiting for us. His two main team members are Luis, the mechanic and backup rider, and Ivo, who drives the backup van. 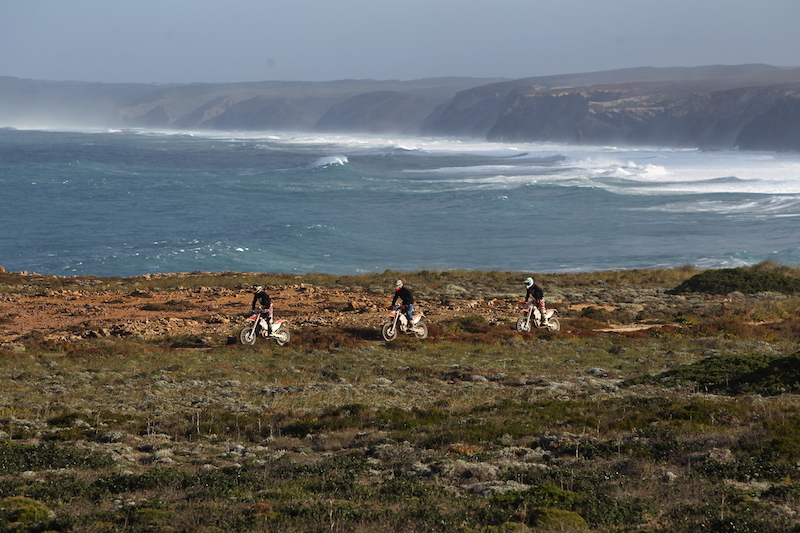 There was only four of us on this trip, though it’s possible for the crew to cater for groups of up to 10 riders. The weather was dry, about 12C with a few clouds; a pleasant feeling in December. 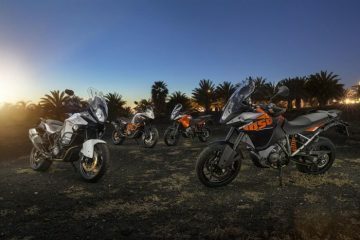 The bikes, KTM 450 EXCs, were all lined up, looking immaculately prepared and labelled up with our names. 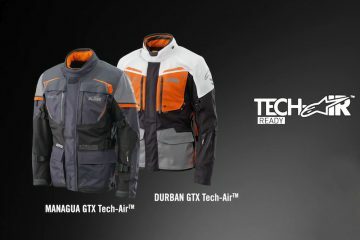 They’re perfectly suited to the type of terrain we were going to be riding, with GPS units mounted to the handlebars, each one displaying the day’s route. I got changed into my riding gear and Luis introduced me to the bike, taking the ritual very seriously and taking his time to make exact adjustments of lever positions and brakes to suit me perfectly. I was made to feel like I was part of a Dakar Rally team given the excellent organisation and attention to detail. The attention to detail continued as far as the timings for the day and the arrangements throughout were concerned. It was as if Ruben had taken his Dakar experience of a precise timetable and applied it to his tours. Everything that was meant to happen did happen, and always when it was planned to. As we set off, Ruben took the lead, with Mathias and me in the middle, followed by Luis at the back. There was only a few metres of tarmac before we hit the dirt, with the first few miles being fairly smooth, fast-paced, flowing gravel tracks. It was immediately apparent that Ruben is very comfortable with speed, and from the start it was difficult to keep pace with him. Of course, keeping up with the Dakar rider isn’t necessary as you can follow the GPS route at your own pace and Luis will always be following behind. After a few more miles I had settled into the bike and I took some time to admire my surroundings. All of the surrounding hills and valleys were riddled with tracks and the mind boggles at just how much riding there is to be down in southern Portugal. Every 15 to 20 minutes, Ruben would pull over and check that everyone was comfortable with the riding and that everything was OK with the bikes. He was mindful of taking care of all of the riders to make sure everyone was riding within their ability. The ride had kicked off at 10:30am and, apart from a few stop checks, had been pretty full on. I was following Ruben, watching in awe as he navigated the tracks, making every turn so precisely and with ease, it was a pleasure to watch. There are some great trails along the way, and Ruben and his team has spent a lot of time compiling routes of the best in the area. If you prefer fast trails, you’ve got it, and if you’d prefer slower, more technical tracks, then the guys have got you covered. Around lunchtime, we arrived on the coast, stopping at a beautiful, traditional Portuguese restaurant overlooking the sea. We parked the bikes against the hand rail of the ocean view platform and took in the scenery. Ruben explained that in the summer it’s almost impossible to get a booking at this restaurant as it has some of the finest seafood available in the area. We sat down for lunch and began exchanging tales of the morning’s ride while enjoying some excellent food. Before heading off for the afternoon’s ride, we hung around for a bit and soaked up the views. The riding of the afternoon was a little more technical than that of the morning, but just as enjoyable with lots of winding single tracks going up into the mountains. As the day went on I was feeling much more at ease with my bike and it was easier to keep pace and great to have some challenging hill climbs to try. After tearing through the hills, we took a change of direction and began to head back towards the coast, this was a really interesting part of the journey as it was on a sand road only 10m from the cliff edge of the coast. All the while you could see the waves of the Atlantic crashing against the rocks below, sending white water spraying high into the air. We stopped briefly to take in the view, and as we did so the weather changed for the worse. Heavy rain began to lash down, but not even these conditions could detract from how great this area was to ride. The rain eased off after an hour or so and we continued to wind our way along the coast before cutting back inland to our evening accommodation in Pedralva, a beautiful complex of small cottages on a hillside. Ruben told the story of how the cottages were virtually derelict at one time, until a group of friends purchased them and completely renovated each of them in their own individual style and named each one after a different beach in the area. Staying here was truly a great experience and as soon as I entered my apartment I felt the welcoming warmth and couldn’t wait to get out of my wet riding gear. It was now 6pm and the plan had been made for pickup at 7pm for dinner at a local restaurant. It was nice to have an hour to relax and enjoy the room. 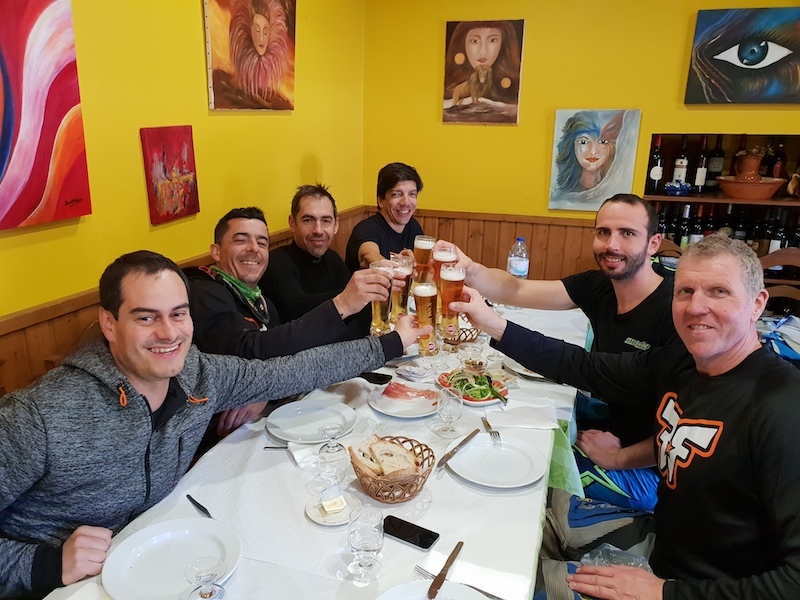 We were driven to a beautiful traditional Portuguese restaurant for dinner and Ruben chose a varied array of dishes so that we could sample different types of local food. The restaurant staff were all very friendly and the quality of service was excellent. More importantly, the food was amazing! (This seemed to be the case everywhere we stopped). 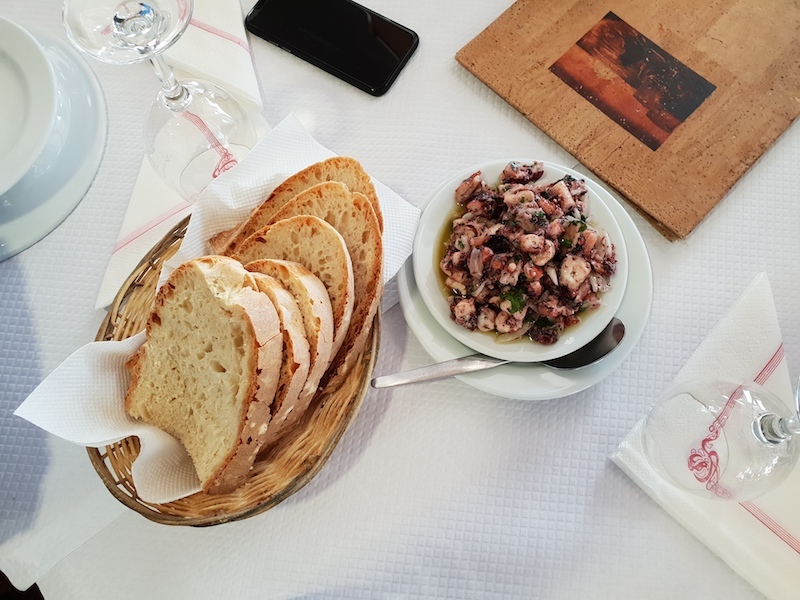 I found myself eating and enjoying many things I would have never had dreamt of ordering myself and, after the meal, we were treated to ‘medronhos’, a strong spirit made from the fruit trees that grow wild all over the hills. It is said that the spirit is so pure that, if you were to get drunk on it, you would wake up with no hangover. The next morning, because the previous evening’s coastal ride had been dampened by the weather, we asked Ruben if we could go back now that the weather was much better. The temperature was up, the sun was out, and the skies were blue, so off we headed. We took a slightly different route back to the coast, starting with some technical trails and steep climbs. As we crested the last hill, the Atlantic Ocean stretched over the horizon. As is normal for the Atlantic, the waves were high, and it was a truly beautiful sight. We took a moment to absorb the view and take some pictures watching the waves crash against the rocks. It was now noticeably warmer than the previous day, so our jackets were off, and we set off on the day’s ride. 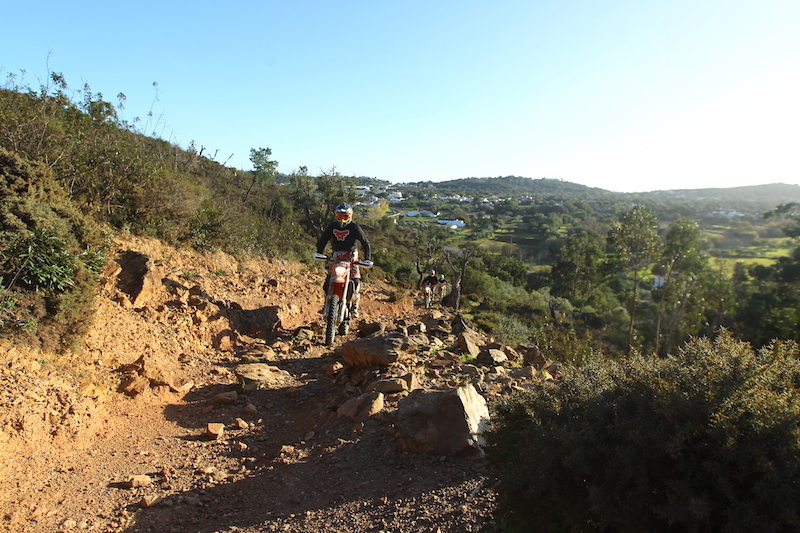 The going was more technical than the day before, with lots of single track and lose, steep rocky climbs testing riders and bikes alike. 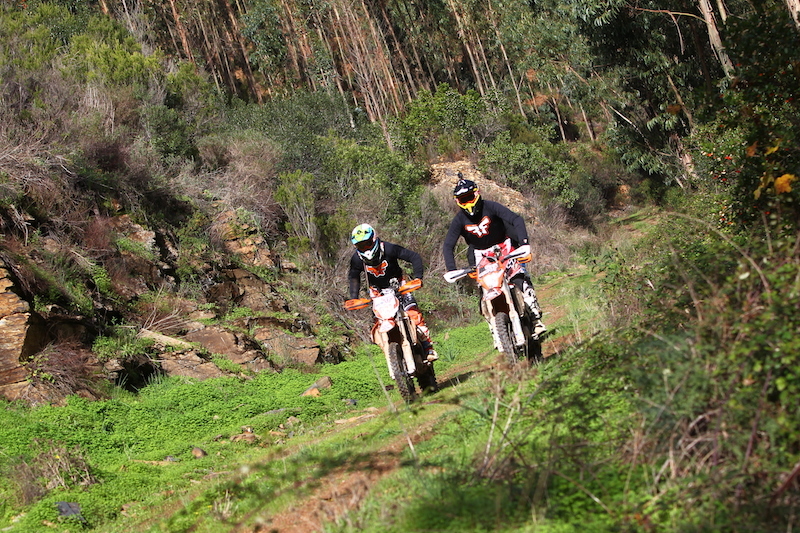 The trail terrain was so varied over the two days, as we had ridden over mud, rock, grass, gravel and sand. That afternoon, after lunch, we spent a lot more time in the hills, tackling some really steep climbs. This was my favourite part. We wound our way through single-track trails until we came across what looked to me like a national park. 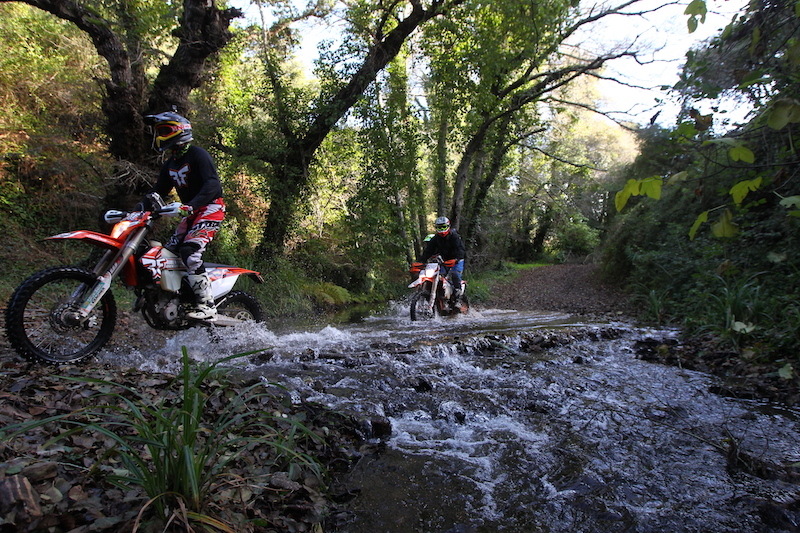 There were beautiful trees all around us, with rocky streams that we rode along, ending with a water crossing. I asked Ruben about the place and he confirmed that it was a national park and that the route we had taken, despite it seeming too good to be true, was perfectly legal! We rode a short time on tarmac back to Ruben’s house, and round the back was his bike workshop where two of his Dakar bikes and his Dakar trophy caught my eye. After drooling over all these, we were taken to our last night’s accommodation, a converted farmhouse with individual apartments. After freshening up, Ruben took us to his birth town of Olhao, a coastal resort with a strip of inviting bars and restaurants. We parked up and walked into the one Ruben had chosen. Over a delicious dinner we spoke about his Dakar experience of eating. He explained that during the day the only practical food to carry was cereal bars, and after two weeks of them along with a camel pack containing water up to 40C, things got a bit tough! 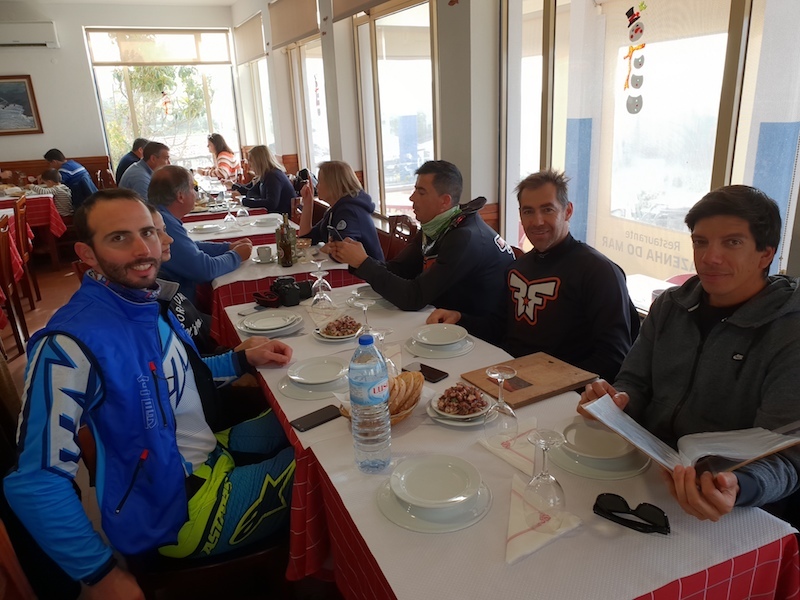 To sum up my experience of the Ruben Faria Adventure Tour; it’s not just about riding, it’s about seeing Portugal, appreciating the beautiful landscape in the area, observing the culture around you, meeting new people and getting to taste all of the delicious local cuisine. 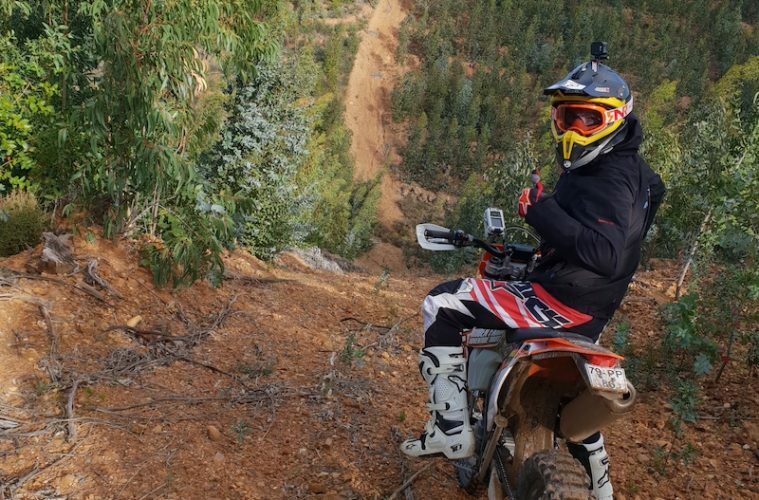 The tours are designed for any ability, even if you are a complete beginner with no experience of riding off-road, with safe training areas available to practice in before venturing onto the trails. For me, the most remarkable thing about the whole trip was Ruben and his close crew, they are all so friendly and attentive, I feel like I arrived as a customer but left as a mate. The trails are some of the best I’ve ever ridden, and I will be going back one day to enjoy the experience all over again. Ruben started riding bikes at the age of five. At that time, in the Algarve, it was difficult to get Japanese kids’ bikes, so his father built custom rides for him from various parts of old bikes. At 12 years of age he had his first proper motorcycle, a 1980 Honda CR125, which he used to compete in national motocross championships. After this, he moved onto the Baja championship, and won twice on a Yamaha YZ426. In 2006, he found himself on the start line of the Dakar Rally, and ended up making some great times and even one stage win. 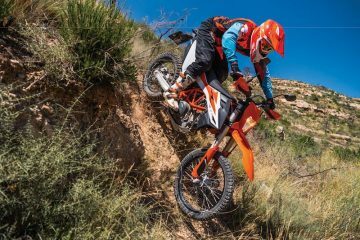 In 2010, he was a team rider with KTM factory and Cyril Despres, where he raced up until 2017, when he suffered a bad injury that forced him to stop competing. His best performance in the Dakar came in 2013, where he placed second overall. 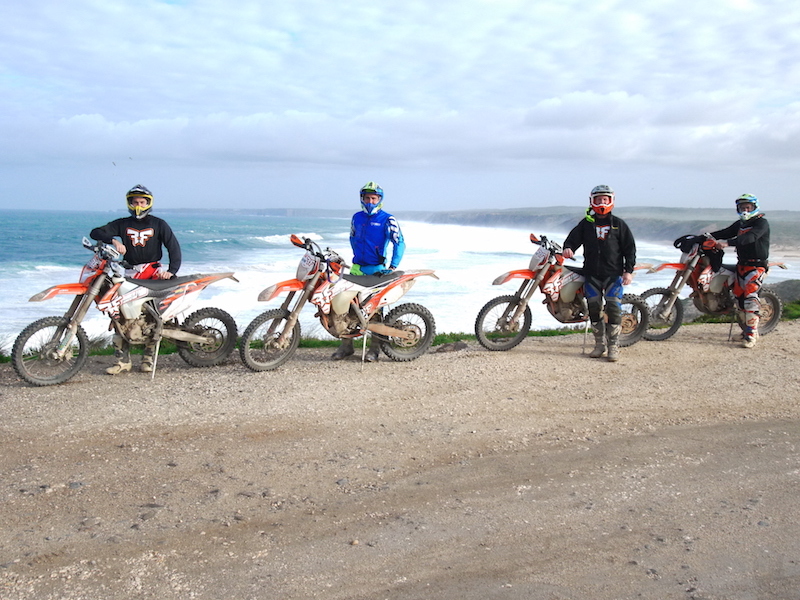 Today, Ruben is still involved with the Dakar Rally, but as a team manager, but he started running tours in Portugal in 2014 after friends would comment on how fantastic the riding was in his local areas. 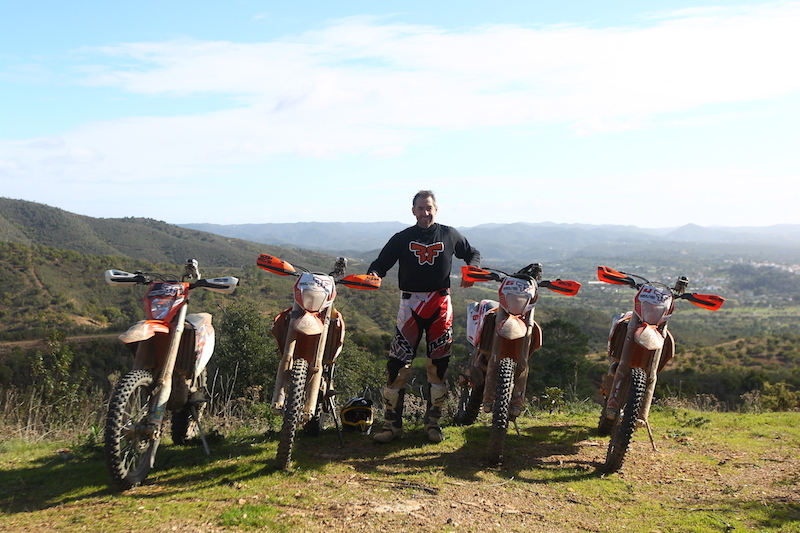 Normally, an off-road tour covering such a large area would create issues with residents and land owners, but Ruben is very well known in the Algarve and is very respectful of other people, taking the time to wave or acknowledge as we rode by. Going forward, Ruben plans to run tours that cover the whole of Portugal, from north to south. Flights from the UK to Faro Airport, the Algarve’s main transport hub, are regular and reasonably priced. With a flight time of around 2 hours 45 minutes, you’ll be looking at prices from around £110, with costs being significantly cheaper in the off season. 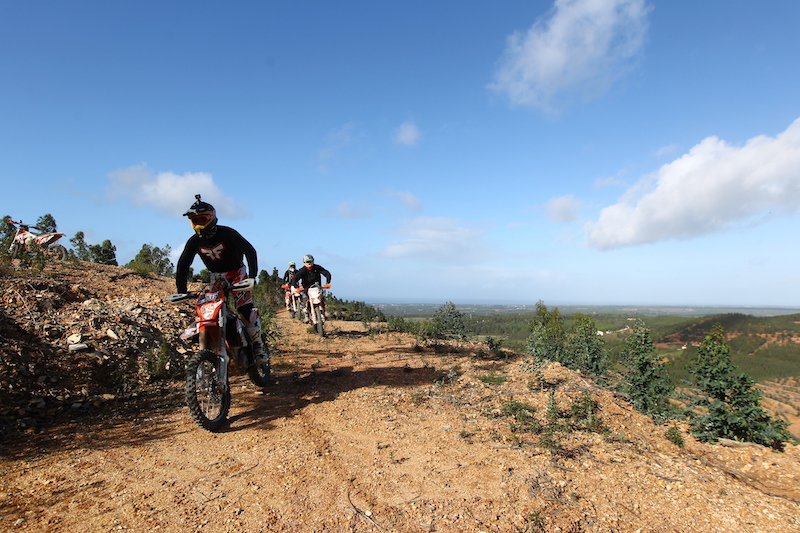 While there’s nothing to say you couldn’t turn up in Faro, hire a bike and hit the trails yourself, to make the most of your time and to ensure you get to ride the best dirt tracks around, you’d be better off trusting the experts. 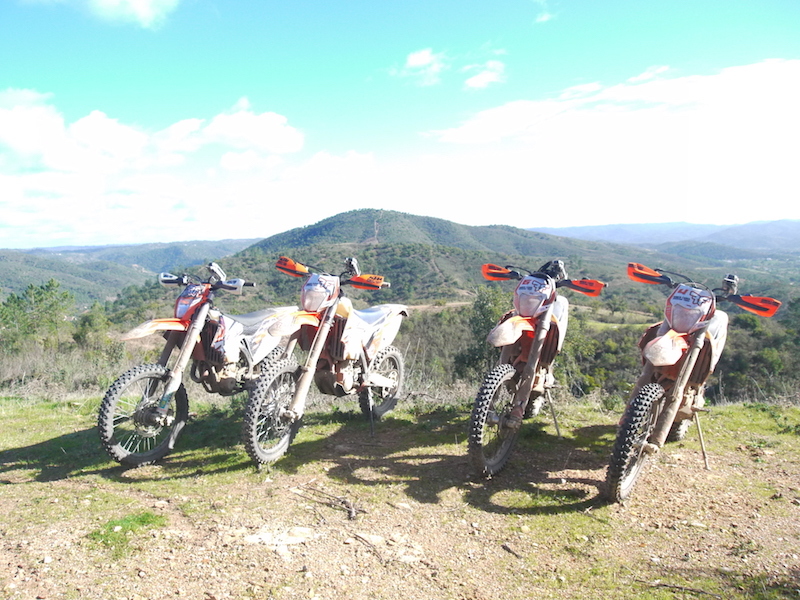 Ruben Faria Adventure Tours offers a selection of trail riding tours where the emphasis is on riding hard (but within your means) in the day and relaxing in style and comfort in the evenings. 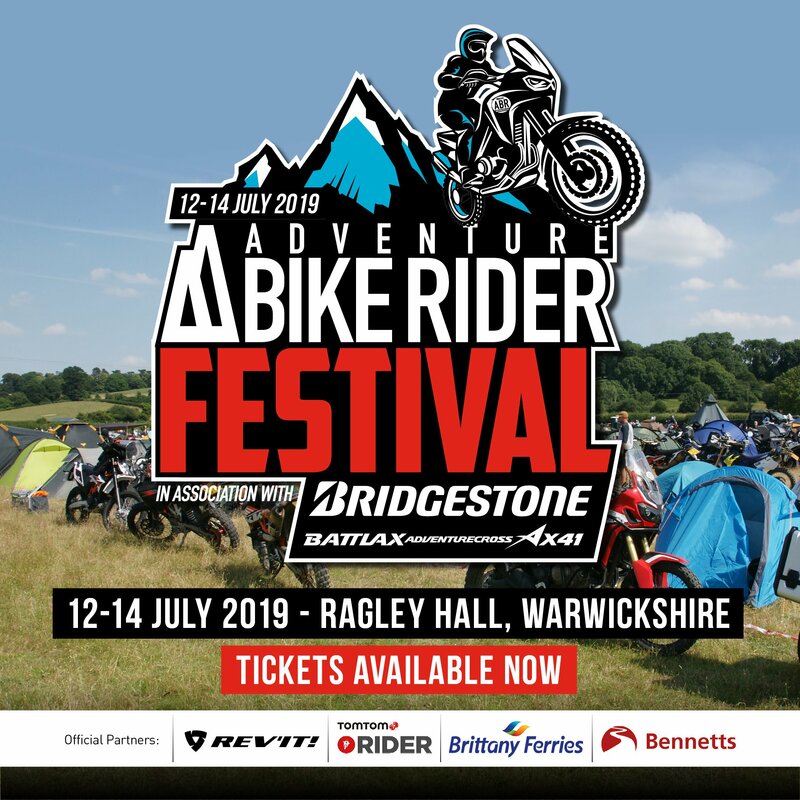 Ruben’s team will make sure you see the best sights, ride the best routes, and dine in the best restaurants around, with bike hire and kit hire available, meaning you won’t need to faff around with hold luggage on your flight. For more information on Ruben’s tours, including pricing and availability, head to www.rubenfariaadventuretours.com.